This was the first palace I've been when I first stepped on Germany. 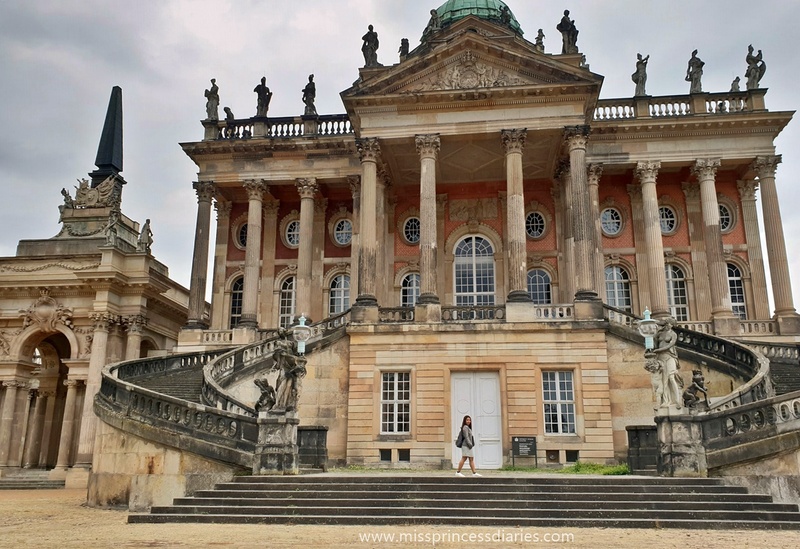 It is located in Potsdam and was an hour away from the main city of Berlin. 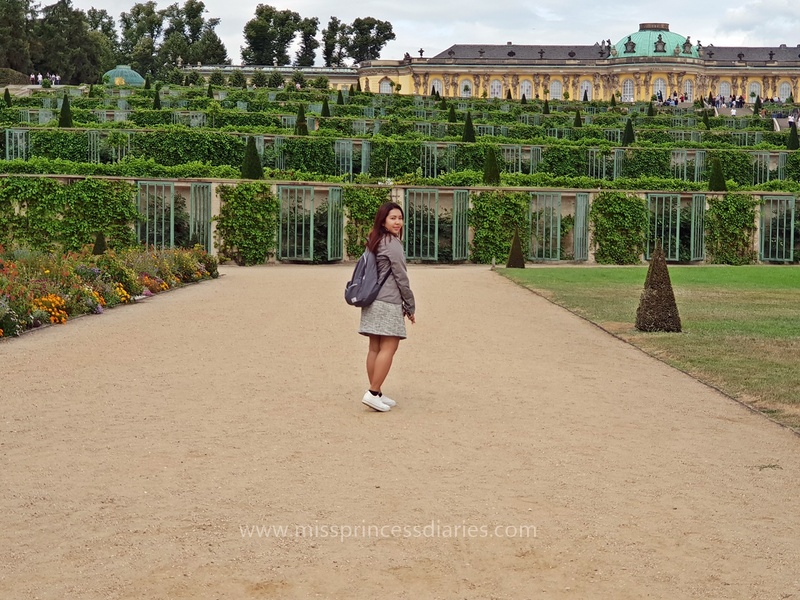 For a princess in the hunt for palaces around Europe, my heart was full. 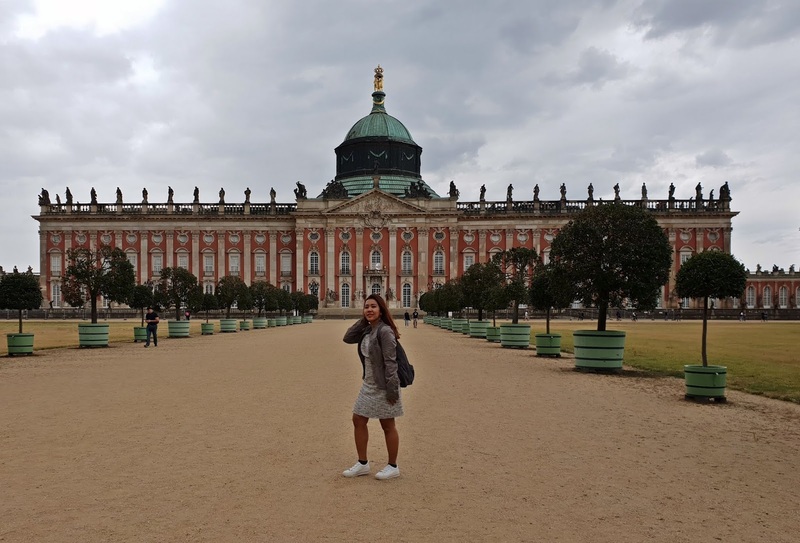 This rococo palace was like fantasy and it feels like a fairytale. No wonder Friedrich the Great made it a summer home where he can only relax. I totally agree. 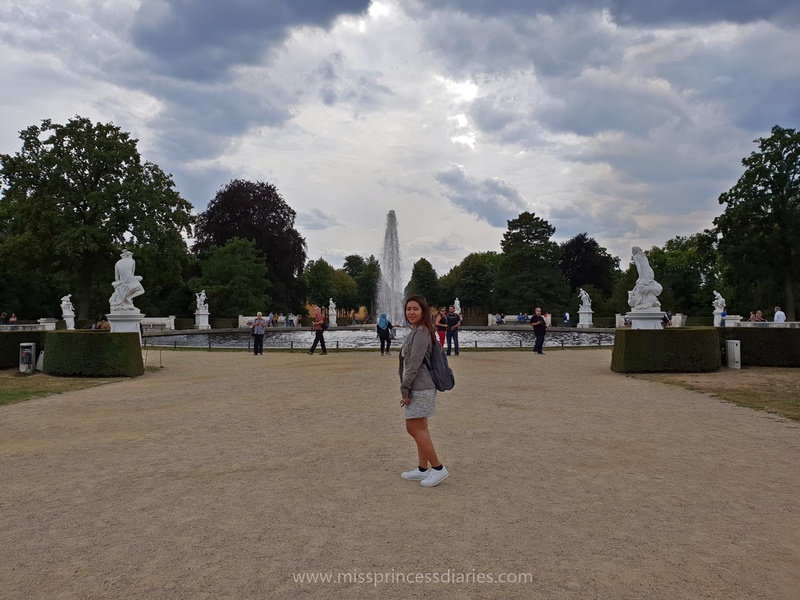 Nature, fresh air, amazing palaces are one of my top list. 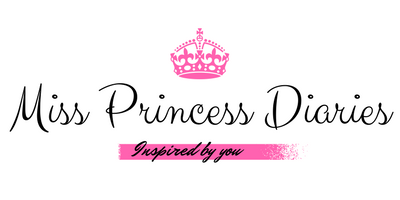 Even if you want to be princess-like and wear your pleasing head to toe princessy outfit. You might need to really consider to be in comfortable footwear when visiting this place (renting a bike is not a bad idea too). It was a huge place (600-hectare park) that you can get lost if you don´t have a sense of direction. Haha! Of course, it requires a lot of walking from one point of interest to another. Don´t worry it will be worth it. Good to know fact: sans souci in French means `carefree´. This place was built around 1745 to 1747 and a UNESCO Heritage site. 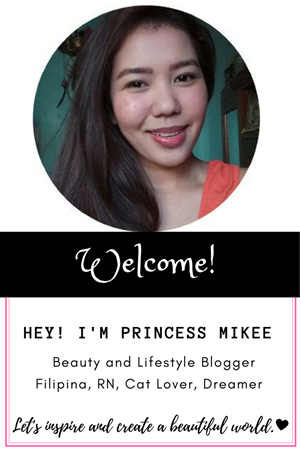 Of course, being with nature is one of my stress-reliever and just looking and walking around calms me. By the way, we went here with no tour guide and I don´t remember paying for an entrance fee. 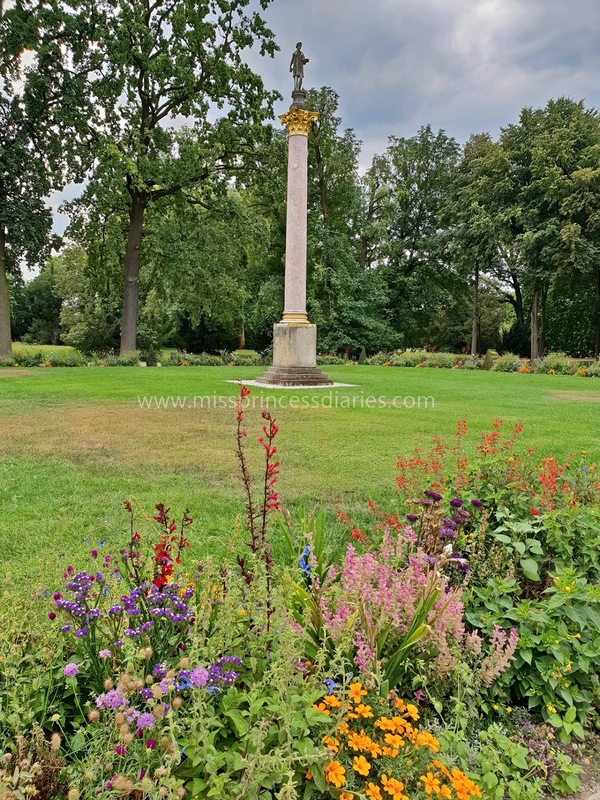 It is best to visit during the summer season when you can see the full beauty of the garden. We went here around August and it is okay. Although, it is a bit of rainy. We still enjoyed the surroundings. 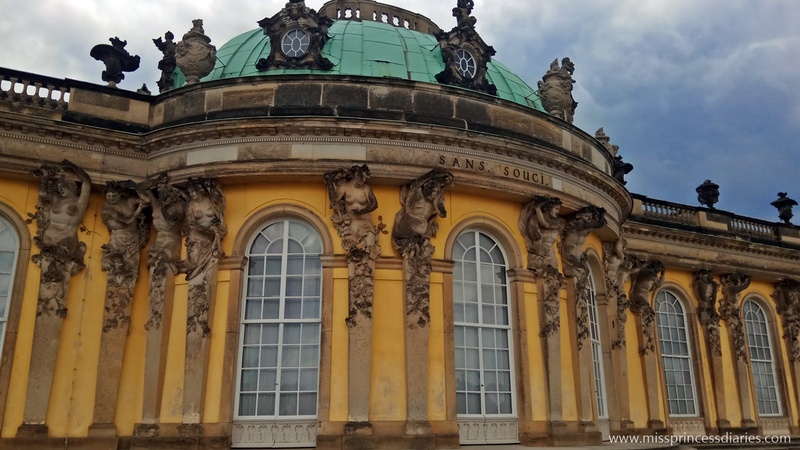 And yes, there are always a lot of tourists, but Sans souci have enough space for everybody. Take note that the palaces were distributed in the entire park and not close with one another. So, you have to really navigate yourself through the beautiful garden to check out every palace. You can actually also visit the inside of the palaces, but we have no chance because we have not planned it at all. That is also one that I look forward to when visiting these palaces again. I´ve read from the other visitors here that in the New Palace there are interesting marble hall and grotto hall to check out. 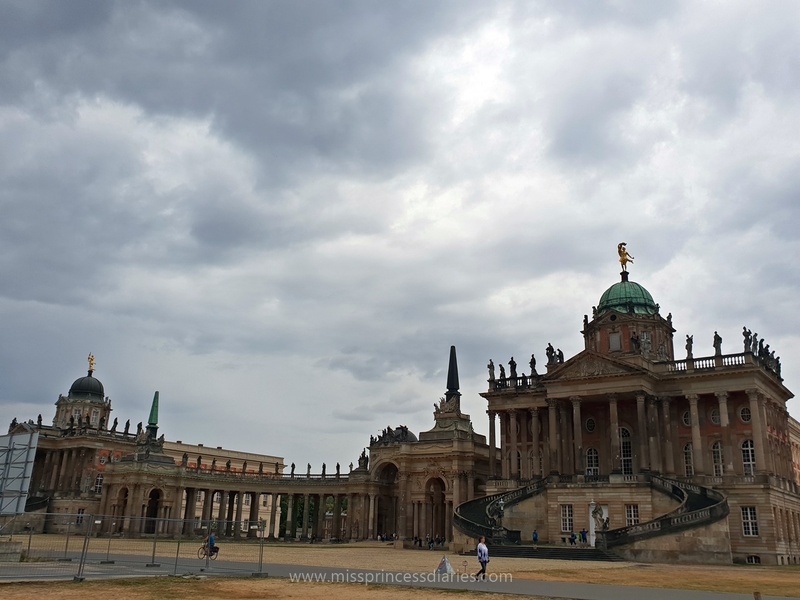 This is the western part of the University of Potsdam. I can imagine walking around here during college days that would be for me so great! I am not totally sure, but as fas as I remember this was a library. As you can see, you can also enter here and I bet the inside was full of decorative and luxurious ornamental pieces. I can tell from the outside of this palace. That is it for today! 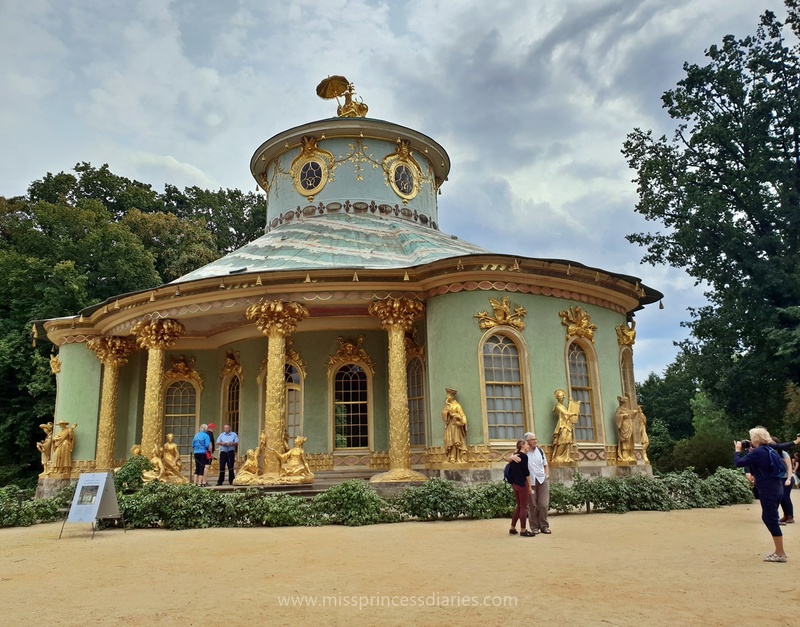 I hope I give you an overview of what you expect or should look for when visiting this popular attraction in Potsdam. 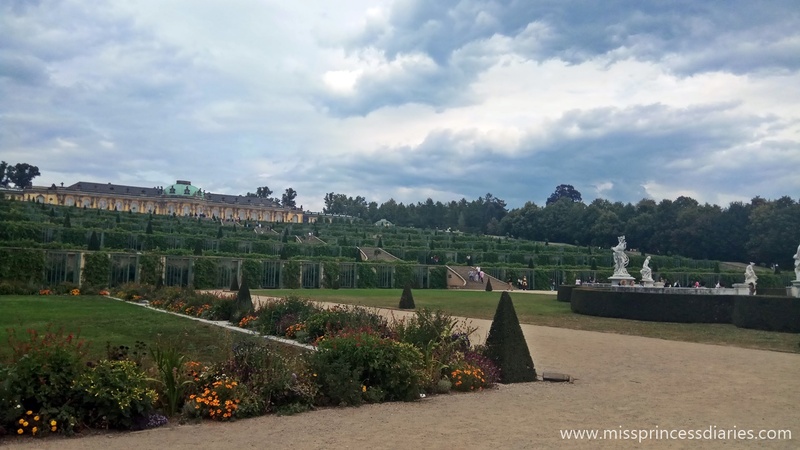 Potsdam is really an interesting, majestic place and there is a lot to find out. 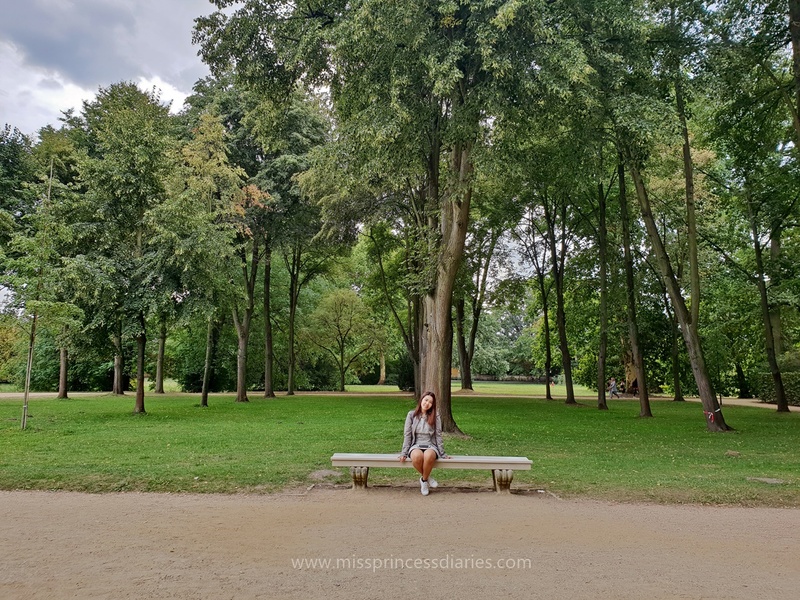 If you are interested, you can read also about my blog about Babelsberg Park. It is also located in Potsdam.